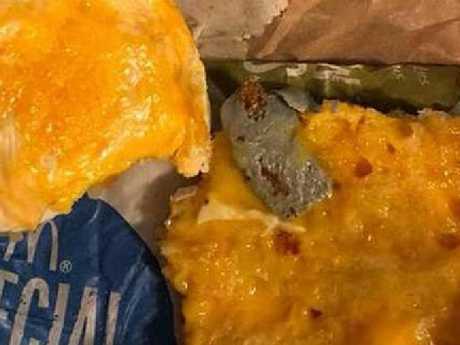 A UNI student's Saturday night McDonald's run turned to disgust after she found a disturbing unlisted ingredient in her McMuffin. 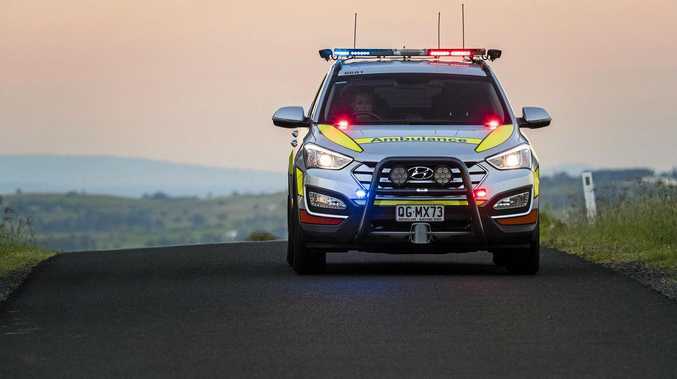 The Canberra resident took the first bite of her egg and cheese McMuffin and claimed something wasn't right. After noticing an odd colour in her meal, she looked closer to find a piece of chewing gum. 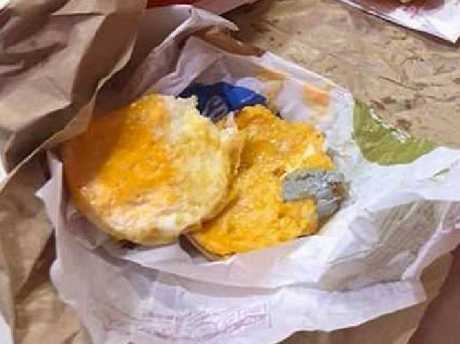 "It was cooked into the burger, it was in the cheese", the customer told Yahoo7. "I feel sick just thinking about it. You trust these people to make your food. "I was disgusted from a health standpoint, who knows where that has been and what it is carrying." The customer took the item back to complain, where the manager offered her a refund and a free item from the menu. However, she swiftly turned the offer down. "I'm never going back … if I hadn't checked it, I would have eaten it," she said, revealing that it was not the first time they had experienced problems with that store. 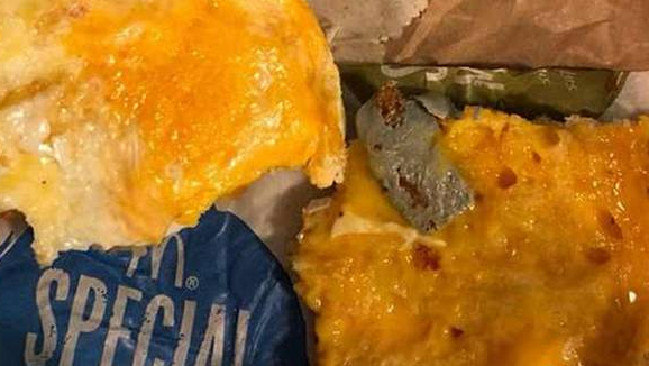 The restaurant manager told Yahoo7 they suspected the stray item was Blu Tack but couldn't explain how it got into the McMuffin. "We are aware of this complaint, but having reviewed the CCTV of this product being prepared and served to the customer, we can find no evidence of this contamination having occurred in our restaurant," A McDonald's spokesperson told Daily Mail Australia. This article originally appeared on the NZ Herald and has been republished here with permission.